On Thursday, May 3, 2018, at a small ceremony held at the Ministry of Health conference room in Belmopan, various vector control equipment was officially handed over to the Ministry of Health by the Government of the United Kingdom. 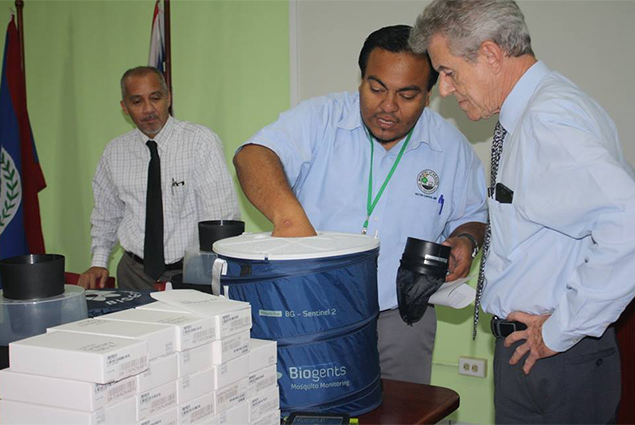 The donations were made possible through a partnership established with several Caribbean countries, including Belize, Public Health England, and the Caribbean Public Health Agency (CARPHA), to support vector control efforts. The donation of over 140 ovi traps for the collection and rearing of mosquito eggs. The equipment has been delivered and most will now be distributed to assist vector control staff in the Corozal, Orange Walk and Cayo districts. H.E. 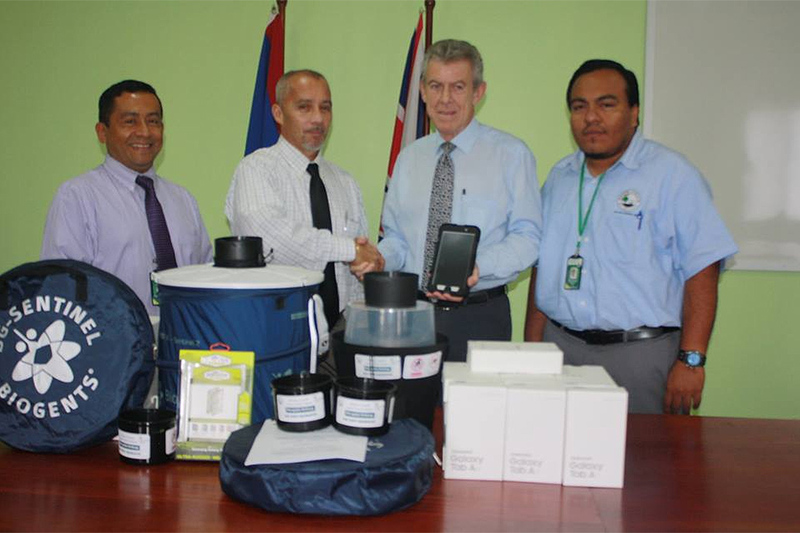 Peter Hughes, British High Commissioner to Belize, handed over the equipment on behalf of Public Health England while Dr. Ramon Figueroa, Chief Executive Officer in the Ministry of Health received the equipment on behalf of the Government of Belize. The British High Commissioner expressed his support for continued collaboration with the Ministry of Health and the British Government. The equipment is valued at approximately BZ$30,000.